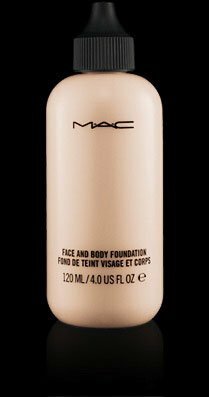 Famous for her killer legs, Caroline Flack finally reveals her secret, which comes in a tiny bottle, MAC body foundation. The 32-year-old Xtra-Factor presenter gives her legs a beauty boost with MAC body foundation. At $33 a bottle, Caroline Flack makes good use of the product and spreads it all over her body to give her an all-round glow. The water-based, water-resistant foundation prides itself on providing natural coverage for your face and body. It contains several emollients to help moisturize and condition the skin. Although Caroline Flack is regularly spotted donning barely-there shorts, the star is not without her insecurities. “I do have cellulite, but running really helps me tone up. I work with what nature gave me!” she said. Her trainer, who goes by the name of Ulisses and works at Reebok Sports Club, helps Caroline Flack tone up her legs and exercises include step-ups on a box and power plate sessions to work the back region of the legs. It’s not just Caroline Flack who feels insecure about her cellulite either. According to Heat, celebrities each have their own secret weapon. For Frankie Essex it is Palmer’s Cocoa Butter Formula, which she applies every time she gets out of the bath. Katy Perry swears by Celluvera cream. At a pricey $72 per bottle, Katy Perry uses the cream as a boost to exercise to banish the bumps. And Alesha Dixon keeps her orange peel at bay with a miracle cure known as Hypoxi Vacuum Therapy, which is a combination of exercise, improved diet and targeted low atmospheric pressure to help reduce cellulite around the buttocks. Alesha Dixon is also an avid fan of a juice cleanser containing carrot, ginger and beetroot which she ensures is freshly made using unpasteurized juices that help detox her body. The celebrities also follow the tried and tested methods of beating cellulite. From dry body brushing to staying well hydrated. Madonna even invested in a machine that claimed to be the ultimate weapon in our war against cellulite, she paid a whopping $80,000 to have one installed in her home.